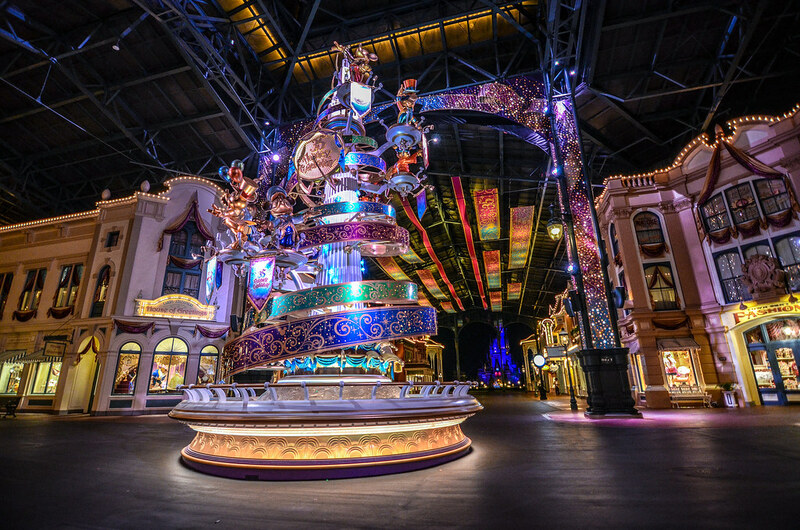 Many believe that a trip to Tokyo Disney Resort is nothing more than a pipe dream. Sure, the photos look amazing and everyone raves about it, but traveling to Japan is far different from traveling within the United States. While that is true to a degree, some may be surprised at how attainable at trip to Tokyo Disney Resort (and Japan) is. 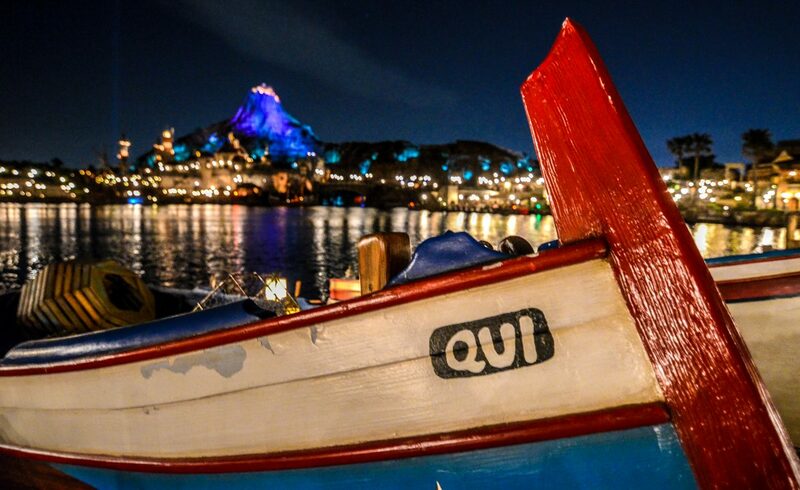 For those who have decided to go on this amazing trip, or even for those that are simply thinking about it, we’ve created this guide to Tokyo Disney Resort. 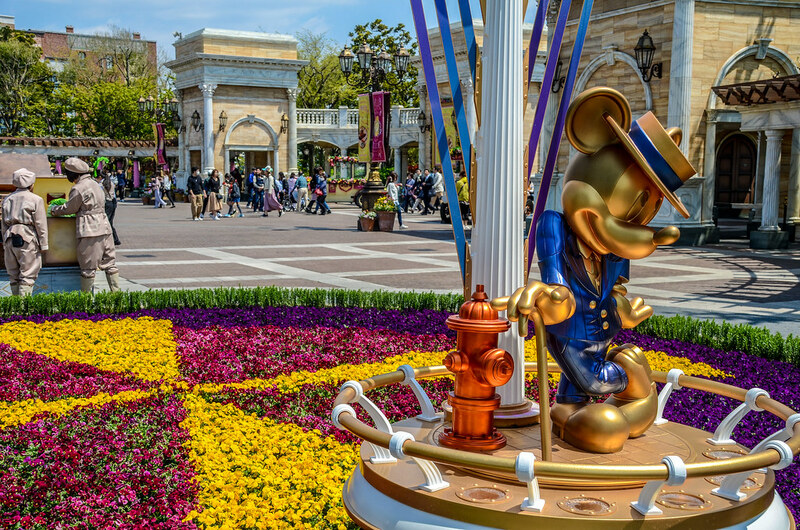 Our planning guide will include the best times to go to Tokyo Disney Resort, places to stay, park tickets, FastPass and attraction guides, itineraries, dining tips and reviews, and more. This guide is in conjunction with our Disneyland and Disney World Trip Planning Guides. While we’d like this guide to have every answer to any questions you might have, that’s likely an unattainable goal. Instead, think of this as a jumping off point to a trip to Tokyo Disney Resort. There are many links included within the guide, some to our content and some to other sites that we’ve used. Over time, we’ll have more and more TDR content and will update this guide periodically. More than anything, we want this post to ease some of the burden of what might feel like a monumental task. 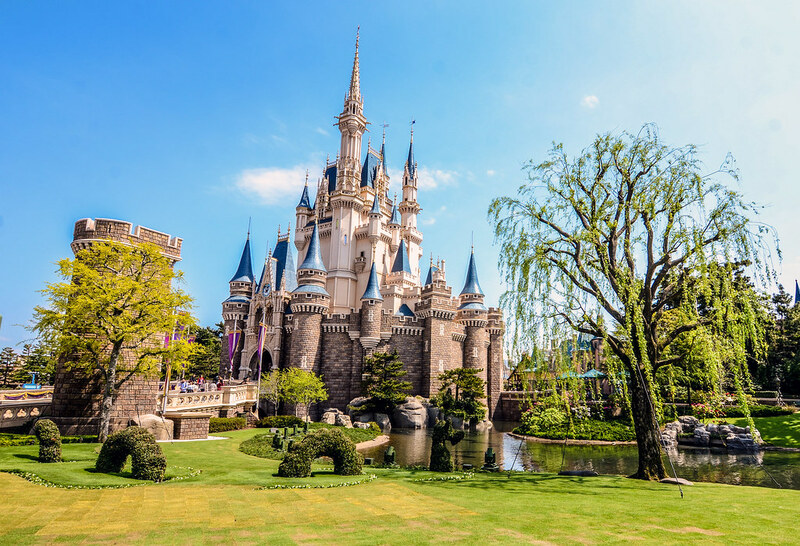 There are more things to plan and worry about when traveling internationally than there are when going to Disney World or Disneyland, but we think the reward is greater when going to Tokyo Disney Resort. Near the end of the post I will discuss whether 2019 and 2020 are good years to visit Tokyo Disney Resort. I realize that people vacation when they can and sometimes that portion of trip planning isn’t all that flexible. If you can’t be flexible on what year you go, don’t fret. 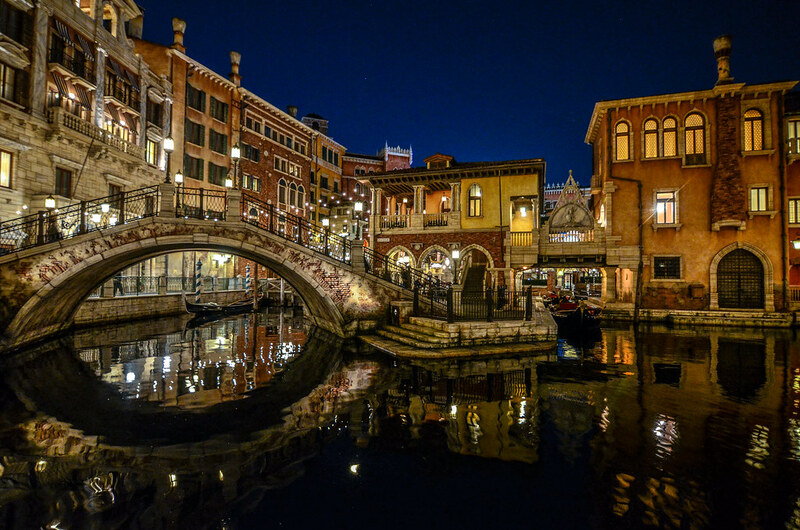 Tokyo Disney Resort and Japan are incredible destinations, regardless of the year. Sure, some are better than others, as we will discuss below, but if you are already planning then this guide will try to help you have an even better time. As always, if there is something we didn’t cover or you have a question, then please leave a comment. On to the guide! When to Visit Tokyo Disney Resort? Like any other trip, when you visit Tokyo Disney Resort will likely depend on your schedule and priorities. Where it differs is that the trip will (probably) include going to cities and landmarks around Japan. For example, we centered our trip to Japan around cherry blossom season. While this wasn’t a bad time to go to the parks at all, our decision wasn’t based on the parks. Before booking our trip, I did check a crowd calendar to make sure the parks wouldn’t be overrun with people during our potential dates. I’d recommend the same strategy for anyone else. The cherry blossoms and fall colors in Kyoto should likely outweigh any factors that Tokyo Disney Resort brings. But, if your trip is mainly focused on TDR then here is a breakdown of what months we’d recommend, starting with the months we’d probably stay away from. Like Disneyland and Disney World, the weather in July and August can be excruciating in Tokyo. Both months are also fairly crowded with the higher crowds being in August. Tokyo can be quite humid in the summer and we’d recommend staying away unless you have no other option. June is also quite warm but doesn’t have as high of crowds, so if you need to travel during the summer months we’d recommend June. Somewhat surprisingly, one of the busiest months at Tokyo Disney Resort is March. This is because of spring breaks for the schools and student discounts on tickets. If possible, wait until the first week of April is over to visit if you are going to Japan in the spring. February is somewhat similar to March, although the crowds are slightly lower and the weather a little cooler. 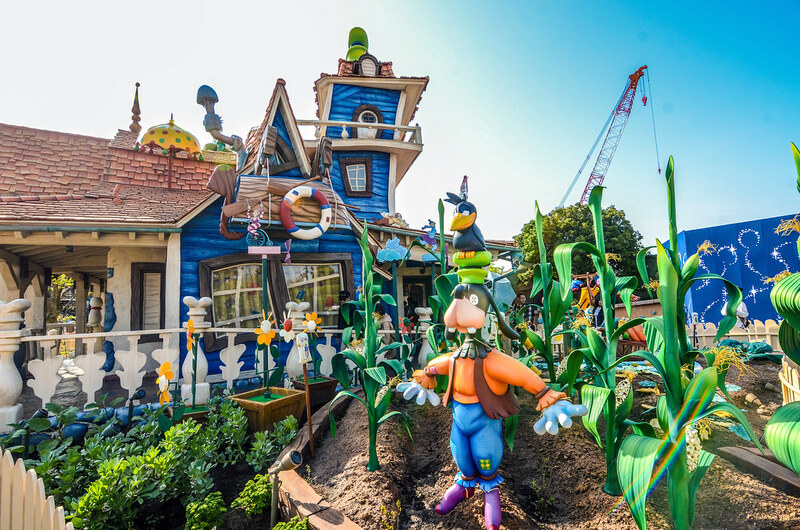 September and October are somewhat hit and miss, thanks to the popularity of Halloween at Tokyo Disney Resort. The average temperature is ideal but it is typhoon season so guests might run into high winds and rain. Of course, if you love Halloween then seeing how TDR decorates may be worth any crowd or weather headaches. November and early December have lower crowds and the resort does a wonderful job of decorating for Christmas, despite the holiday not being widely celebrated in Japan. The temperatures can be cold but it may be worth it to see the outstanding decor and experience some of the Christmas entertainment. Avoid the week after Christmas, leading into the New Year as the crowds are absurd. The lowest crowd levels of the year are generally in mid to late January. The weather is cold but it may be a solid trade-off to see the parks empty. Plus, you may be able to see Tokyo Disneyland and DisneySea with snow on the ground. The sweetest spot as far as crowds and temperatures go is April and May, except for Golden Week (a week in Japan with multiple holidays where many people travel). While the events are slightly less interesting than Halloween or Christmas, the parks look beautiful as guests would catch the tail-end of blooming season and the parks will be filled with color. If you have your pick, I’d recommend May or early December. For a look into what specific week you should visit, this is a great crowd calendar. It is all in Japanese, so either use Google Translate and then decipher from there or check out this post that breaks down the crowd calendar from the excellent TDR Explorer. Last of all, go to Tokyo Disney Resort on weekdays. The crowds will be much lower and more manageable. While we don’t completely advise planning a trip to Japan around Tokyo Disney Resort, make sure your itinerary has you there on weekdays as opposed to weekends. We have a few thoughts on airfare in our post about what a Tokyo Disney Resort vacation would cost. This will be one of the most expensive portions of your trip if you live outside of Japan. Having said that, airfare from the United States to Japan has steadily decreased in price over the last few years. If you live on the west coast, I’ve seen airfare under $500 out Los Angeles and San Francisco. Other west coast cities, including Seattle and Portland, have airfare below $700 round trip commonly. Throughout America, costs shouldn’t rise above $1,000 RT and will be much less than that if you are close to a major hub like Chicago or New York. If flying into Tokyo there are two options – Narita (NRT) and Haneda (HND). Narita is the bigger of the two airports and may be the cheaper option. Haneda is closer to Tokyo Disney Resort and has been gaining popularity over the last few years. If you are going straight from the airport to TDR then Haneda may be the better choice but only if it won’t cost you much more than Narita. Traveling from the airport to the resort takes roughly the same amount of time if taking a bus, although it is more expensive if coming from Narita. If Kyoto, Osaka or other cities in that region are starting your itinerary then check out flights into Osaka International (KIX). While likely not cheaper than one of the Tokyo airports, it might save you some money in travel costs in getting from Tokyo to one of those cities. As usual, we recommend using Matrix ITA Software to find the best fare when looking for a flight. That site includes nearly all major airlines and is very direct in the information given, with no pop-up ads or other distractions. While you can’t book directly on that site, it will show the cheapest option. When first starting to look into flights (and your trip) we recommend being flexible on dates to find the cheapest option. Once at the airport, getting to Tokyo Disney Resort is fairly simple. Both Narita and Haneda Airports offer direct buses to the resort and the signage within the airport is pretty clear in how to catch a ride. If you are coming from Tokyo (or outside of Tokyo) via trains then get to Tokyo JR Station and transfer to the Keiyo Line. Follow signage for Tokyo Disney Resort from there. When you finally make it to the resort, there is an internal monorail to take to your hotel. Tokyo Disneyland and Tokyo Disneyland Hotel share a stop. Following that is Bayside Station (the Official Hotels stop), which includes Hilton Tokyo Bay, Sheraton Grande Tokyo Bay, and other resorts. The next stop is Tokyo DisneySea and Hotel MiraCosta. Finally, the Resort Gateway Station is right next to the JR train line that the trains come from. This is home to Ikspiari (Tokyo Disney Resort’s version of Downtown Disney) and the Disney Ambassador Hotel. We loved the monorail and recommend using it when going in between parks and resorts. For traveling outside of Tokyo Disney Resort but still in Japan, we couldn’t recommend the Japan Rail Pass highly enough. This is offered to foreigners and gives easy access to railroads, including the Shinkansen (bullet train), across the country. If you are traveling throughout Japan rather than just Tokyo then you will get value out of the Rail Pass. The rail system in Japan is very advanced and can get travelers to nearly any area they want to go. With renting a car being somewhat out of the question for most (we wouldn’t recommend it even if you were feeling up to the challenge) trains are an easy, cheap way to get around. Buy the JR Pass before leaving for Japan. When traveling throughout the country, Google Maps will be a huge help. We recommend putting locations into Google Maps during your trip planning so that you’ll be somewhat familiar with locations. Planning itineraries using landmarks that are close together will make traveling more efficient and enjoyable. As far as how to get Google Maps to work while walking around Japan, we recommend a device that you can rent at the airports called pocket wi-fi. This is essentially a wi-fi hot spot small enough to fit into your pocket that you can connect multiple smart phones to (or laptops). This will make messaging (multiple messaging apps work) fairly easy as well as connection to apps or the internet fairly easy. Several sites rent these devices and will have them available for pick-up at the airport. I recommend Googling pocket wi-fi in Japan, shopping through a few sites and then picking the cheapest option. This one is simple… Four days. As we’ll cover in the park tickets section, the maximum amount of days you can buy is 4 park days. Filling up four days at Tokyo Disneyland and DisneySea is very easy. In fact, I’d recommend more days if it was at all logical or a good value. We arrived at Tokyo Disney Resort on a Monday evening and did an after 6 PM pass the first night on top of our 4-Day Passport. For huge Disney fans, this would be a great way to go as you would get a look around DisneySea while maybe catching a nighttime show and dinner before starting a full four days split between the two parks. Of course, time constraints come into play and eventually you’re robbing Peter to pay Paul. Tokyo, Kyoto and other landmarks in Japan are fantastic destinations in themselves. Staying at TDR for a full week will likely take a hefty chunk out of your trip to Japan. Perhaps that’s fine with you and, if that’s the case, you should stick to a 4-Day pass. If on limited time, I do think you could see most everything with a 3-Day Passport. That’s assuming that you are going during the week and at a less busy time of year. Any lower than 3 days and I’m not sure how you’ll be able to see everything. Four days gives you the ability to explore the parks as well as ride and see nearly everything without rushing around. We’ve covered this topic extensively in this post. 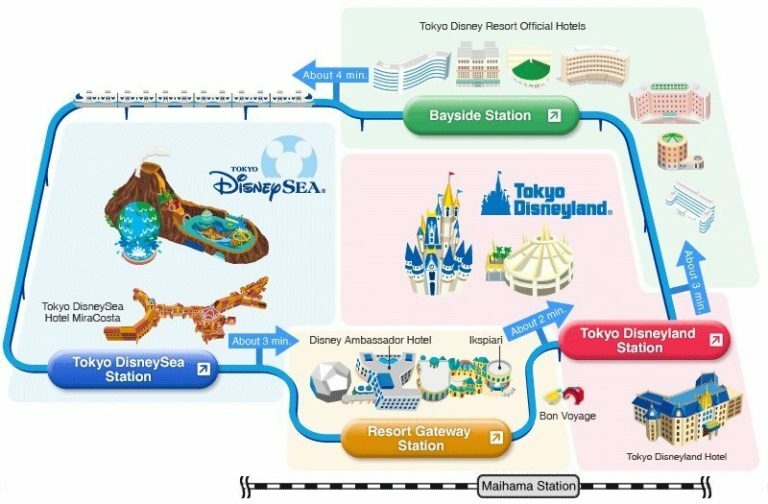 A quick breakdown of the accommodation situation (feels like a Schoolhouse Rock song) is that there are Disney Hotels, Official Hotels, and Partner Hotels or other places throughout Urayasu and Tokyo. 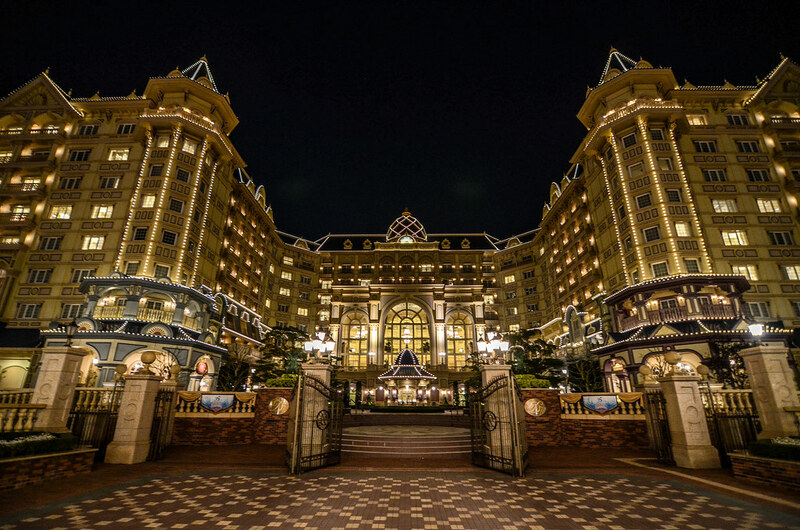 The Disney Hotels include Hotel MiraCosta, Tokyo Disneyland Hotel, and the Disney Ambassador Hotel. These hotels are pricey but lavish and with outstanding locations. There’s also Tokyo Disney Celebration Hotel that would be considered a value Disney hotel. We do not recommend that option, as the location is far worse compared to similarly priced hotels. These hotels do get you into the parks 15 minutes early in the morning, which might not seem like a lot but is beneficial for the headliner rides. Staying at one of these hotels also makes it easy to book dining reservations ahead of time. If you have the means, the high-end Disney Hotels are incredible. The Official Hotels are also very nice and with a great location. No, they aren’t Disney hotels but they are usually far cheaper. Their location is mere minutes away from the parks while still being high quality hotels. The Official Hotels include a Hilton, Sheraton and several other Japanese chain hotels. If you are wanting to stay somewhere nice and close but are looking to save a little money then one of these hotels is the way to go. Lastly, the partner hotels or staying at an Airbnb away from the parks is an option. Frankly, we wouldn’t recommend this unless you are on an extremely strict budget. Even then, we’d recommend trying to save elsewhere. Transportation can be a bit of a headache if you are staying outside of the resort grounds and makes getting to the parks on-time in the morning quite difficult. While we don’t recommend them while staying at Tokyo Disney Resort, we have had several wonderful experiences staying Airbnb’s throughout Japan, specifically in Kyoto and Tokyo. We don’t recommend it here unless you can get a spot very close to Tokyo Disney Resort but do recommend that route for other legs of your Japan journey. Tokyo Disney Resort tickets are far more affordable than the Disney Resorts stateside. This isn’t because there is some secret site to go and buy discounted tickets but simply because the tickets are cheaper. With a 1-day ticket costing less than $70 (7,400 yen) the value is already there. If you are able to add more days to your resort stay then the value grows, with a 4-day passport (ticket) costing roughly $200. (All U.S. prices are estimates as the exact cost will depend on the currency exchange). Tickets are similar to Disneyland Resort in that the maximum days allowed on the ticket is pretty low. A 4-day ticket is the maximum amount of days. If you were planning to stay longer than that you would have to add an additional ticket to the 4-day passport. Those 4 days (or 2 or 3, depending on the ticket you buy) have to be consecutive. Along with that, there is no park hopper ticket on the first 2 days of your ticket. You will tell which park you want to go in those first two days and then the latter two you can park hop. Honestly, the thought of park hopping while at Tokyo Disney Resort hardly crosses my mind, so this wasn’t a negative. Along with the standard park tickets, Tokyo Disney Resort also offers Starlight Passports (just under $50) which give guests a chance to enter after 3 PM on select national holidays, Saturdays and Sundays. On weekdays, After 6 Passports (under $40) are offered and they allow guests to go into a park of their choosing after 6 PM. While neither ticket is an extremely good value, it is a way to get a little extra park time out of your trip while perhaps exploring Tokyo or another city during the day. We started off our Tokyo Disney Resort stay with an After 6 Ticket before using a 4-day ticket and I thought the strategy worked well. If you are staying at a hotel affiliated with Tokyo Disney, meaning the official hotels (like the Hilton, Sheraton, etc.) or Disney Hotels, then you can buy your tickets there. I recommend doing that the night before you enter the parks as it saves time in the morning and waiting in line at the ticket booths is a hassle, especially on busy days. If you aren’t staying at one of the aforementioned hotels then you can buy your tickets on a 3rd party site like Klook or Voyagin. One last option for buying ahead of time would be the Ticket Center at Tokyo Disney Resort or a Disney Store in Japan. Again, the ticket booths the morning of are an option but not time-effective and can add a little stress. I wouldn’t worry about buying your ticket before you leave for your trip unless you are going during a very busy time. Instead, just get your tickets when arriving at the resort, assuming you are arriving the day or evening before your park time starts. Tokyo Disneyland has a system to make lines more manageable called FastPass. Guests can surpass waiting in lines by utilizing FastPass throughout the day. Like Disneyland Resort, Tokyo Disney Resort uses a paper ticket FastPass system instead of reserving ahead (like Walt Disney World). It’s a straightforward system that is easy to follow. We have posts detailing which attractions you should try to FastPass at both Tokyo Disneyland and Tokyo DisneySea. Not all of the attractions use the FastPass system. 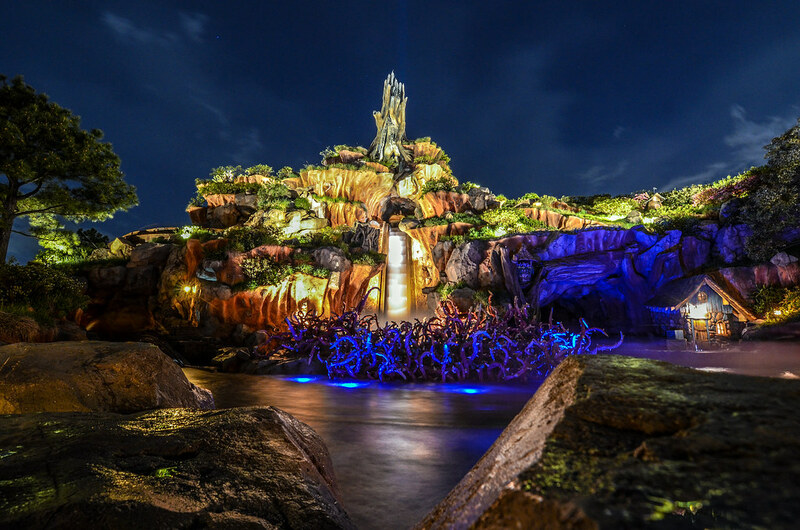 To help you prioritize which attractions to do (if you are on limited time) we have ranked the attractions at each park. Of course, there are more to the parks than just attractions. 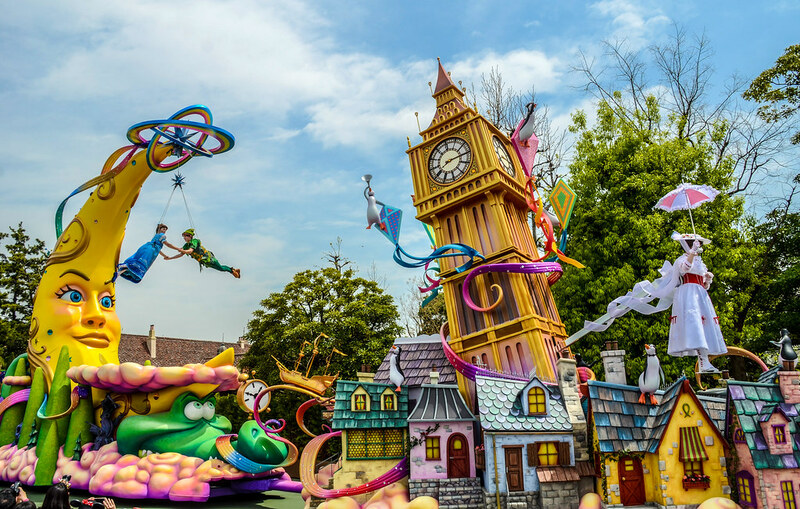 Tokyo Disney Resort is full of incredible entertainment, from jaw-dropping parades to outstanding stage shows. Both of Tokyo Disneyland’s parades, Dreaming Up and Dreamlights, are the best we’ve ever seen. DisneySea is home to our favorite stage show of all time – Big Band Beat. On top of that, both Tokyo Disneyland and DisneySea have beautiful lands that you should take plenty of time to explore and enjoy. With all of this in mind, we’ve created 1-Day Itineraries to each park that try to encompass the best of attractions, shows, food and wandering. While we tried to incorporate this into our itineraries, make sure to give yourself time to relax and wander the park. Part of the charm of these parks is some of the beautiful lands inside of them. I could walk around Tokyo DisneySea for an entire day without riding an attraction and be perfectly happy. Tokyo Disneyland isn’t far behind in that regard either. 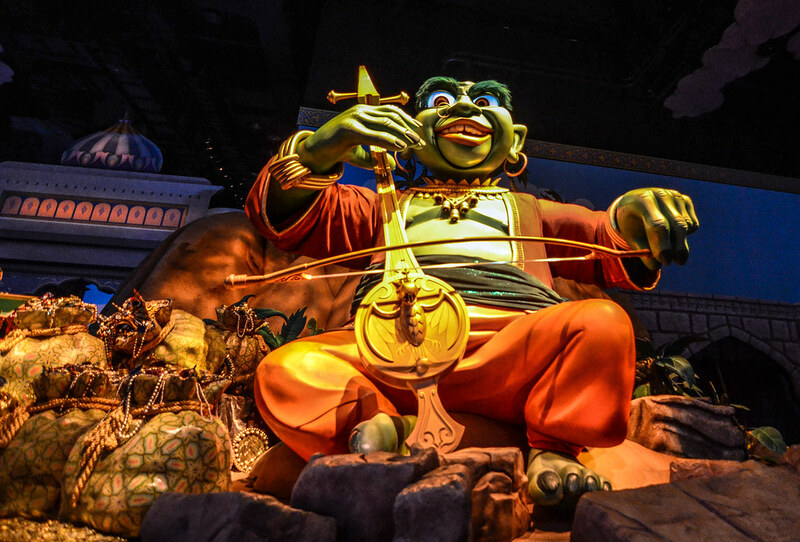 A few of our favorite lands in these parks are Mediterranean Harbor, American Waterfront, Mysterious Island, and Arabian Coast in DisneySea and Westernland, Fantasyland, and World Bazaar in Tokyo Disneyland. The food in Japan is one of the things that we’re asked the most about. While we understand that foreign food can be intimidating, it’s much ado about nothing really. Japanese food is mild as far as spices go and full of flavor. Outside of putting too much mayonnaise on a few random items, we thoroughly enjoyed everything we tried while in Japan. Tokyo Disney Resort’s food is even less foreign than that as there are plenty of different options throughout the parks. While there are some traditional Japanese restaurants throughout Tokyo Disney Resort, there’s also American, Italian, Chinese, and standard theme park food that we’d find throughout Disneyland and Disney World. While we haven’t made it to every Tokyo Disney restaurant, we do have a number of reviews listed below. The food throughout TDR and Japan, as a whole, is cheaper than what we’re used to in America. 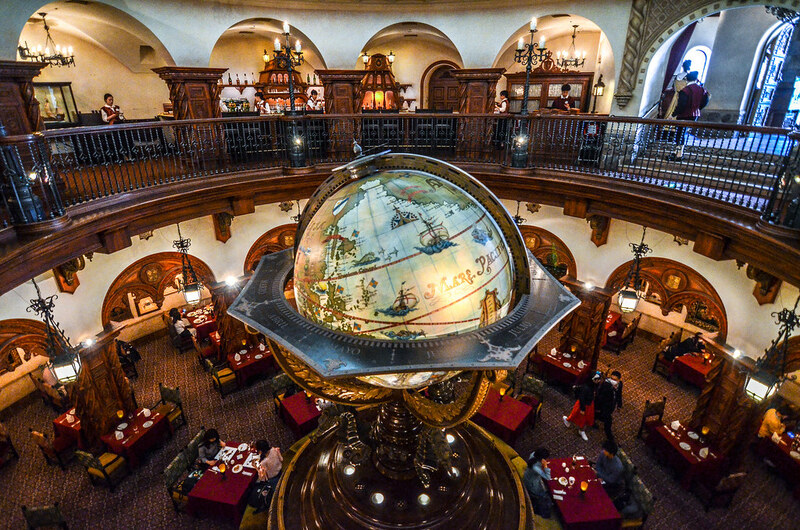 Magellan’s, arguably the best theme park restaurant in the world, has 3-course meals that are cheaper than some standard table-service restaurant entrees in Disney World. It’s easy to find table-service meals for under $30/person and counter-service meals for under $15/person. Dining prices are an easy way to make your trip to Japan cheaper than a standard vacation. Along with some fantastic restaurants, Tokyo Disney Resort is home to some of the best, and definitely the cutest, snacks in any Disney Park. 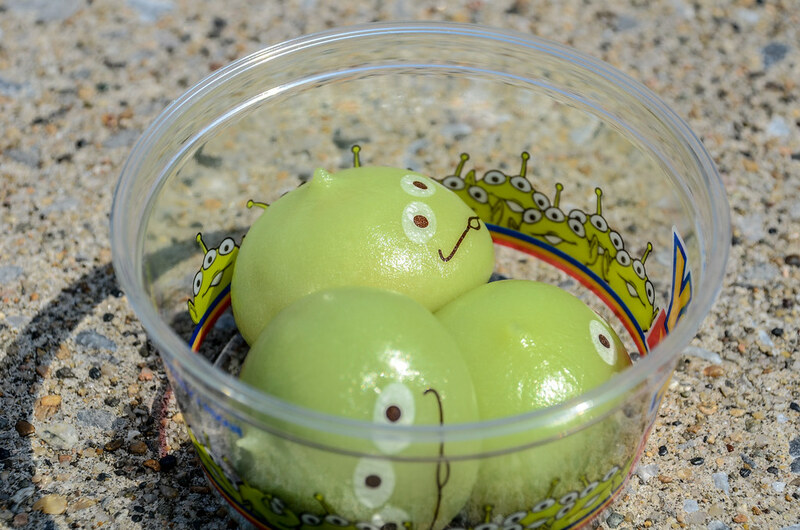 This post ranks all of the snacks we’ve tried at both Tokyo Disneyland and DisneySea. Make sure you set aside some time and funds for snacking around the parks. 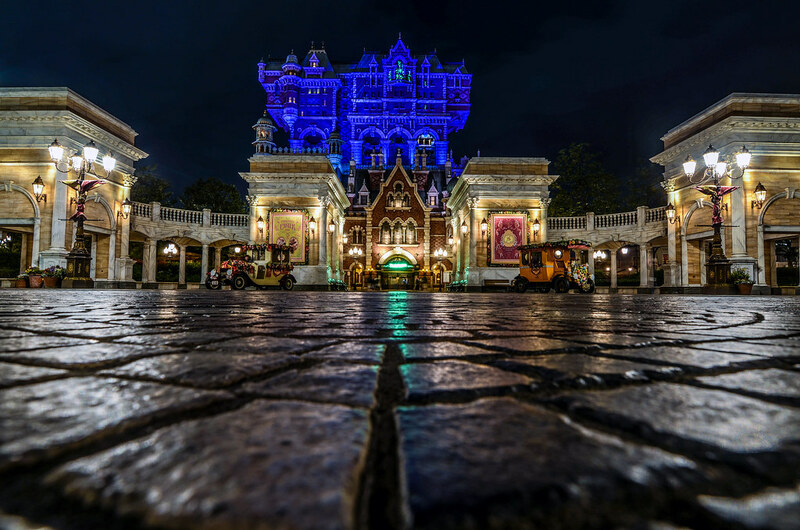 All in all, dining in Japan and Tokyo Disney Resort is something to look forward to, not something to be afraid of. If this hasn’t come through already in this guide, we absolutely loved Japan. From Kyoto’s contemplative history to Tokyo’s futuristic skyline, both cities made a lasting impression on us. 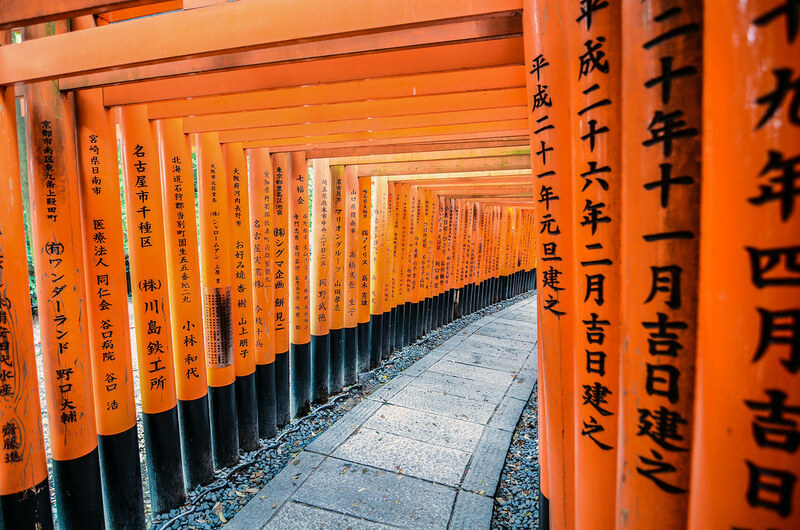 Kyoto has become our favorite city in the world and one we long to visit nearly every day. I can’t recommend it enough. Tokyo is overwhelming to the senses and fascinating. While we loved both cities, we only were able to experience a fraction of them so we are far from experts. To read about our travels in Japan, check out this trip report. In the future we look forward to experiencing Hiroshima, Nara, Himeji Castle, and other landmarks throughout the country. 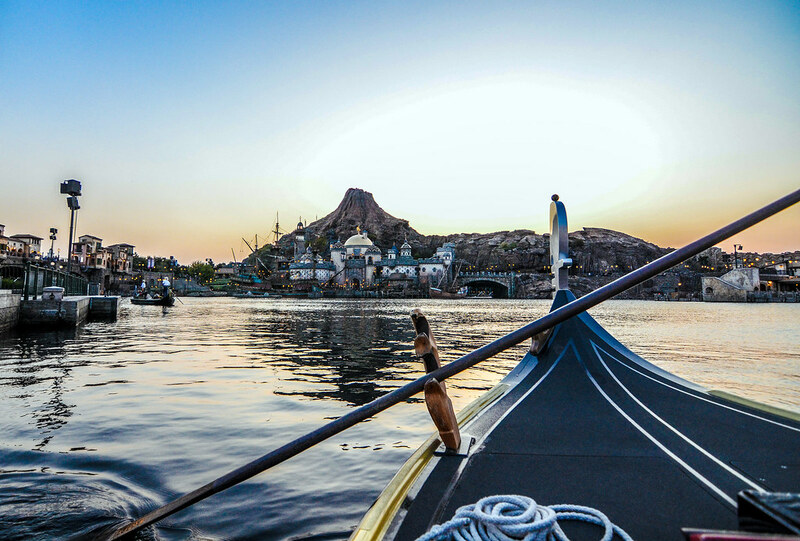 For better resources of what to do in Japan check out Travel Caffeine, an excellent travel website developed by Tom Bricker (Disney Tourist Blog also has great Tokyo Disney Resort tips). He has developed the best online resource to Kyoto there is, as well as other cities in Japan. TDR Explorer is another exceptional resource to Tokyo Disney Resort, Japan, and other theme parks in Asia. In planning our travel, we used these sites extensively as well as Lonely Planet’s Japan Guide. If you have questions about Japan please let us know in the comments! Should You Visit Tokyo Disney Resort in 2019 and/or 2020? We do think that 2019 is a good year to visit Tokyo Disney Resort. The only downside is that there are many refurbishments throughout Japan on old landmarks going on to get them ready for the 2020 Summer Olympics. Likewise, Tokyo Disneyland’s Beauty and the Beast-centered expansion won’t open until Spring or Summer 2020. If those aren’t a big deal to you then 2019 will have lower crowd levels than 2020 across the board. Japan is in the midst of a tourism boom and that will only grow through 2020 as the Summer Olympics come. If you are doing a Tokyo Disney Resort focused trip then we recommend staying away from traveling in the summer of 2020. The crowds in Tokyo will be crazy, as will the parks. Combine that with expansion at Tokyo Disneyland and 2020 will likely be the busiest year at the resort yet. If avoiding crowds is your goal than going to Japan and TDR before March of 2020 is the best bet. If you are holding off until the Beauty and the Beast mini-land opens in 2020, then I’d recommend a late May or early June time frame. The parks will still be busy due to having something so new but it won’t be the really high levels that we’ll see later in that summer. After the Olympics, the crowds will slow down somewhat although most projections have them much higher than 2019 still. I have seen some travel sites who have recommended completely staying away from Japan in 2020. Admittedly, most of these people know more than I do but this recommendation doesn’t make a ton of sense. I understand the Olympics will provide another tourism bump but I have a hard time seeing someone saying “hey, the Summer Olympics are in Japan in 2020 so let’s go there in November or December in 2020!” Maybe I’m being naive, but outside of providing a normal boost in tourism that the Olympics generally provide to the host country I don’t see a big effect in non-summer months in 2020. Maybe I’ll be way off but that’s my guess. In short, 2019 is a good time to go if you’re looking for the fewest crowds. 2020 will offer some new expansions and refurbishments, both at Tokyo Disney Resort and Japan as a whole, but will be more crowded than the previous year. All of that out-of-the-way, Japan and Tokyo Disney Resort are incredible destinations that will be spectacular no matter what year you go. Sure, there will be some years that are better than others, depending on your priorities, but we couldn’t recommend going enough no matter when that is. We hope this guide has been helpful! If you have any thoughts or questions, please leave a comment down below. If you enjoy what you are reading here on Wandering in Disney please share this post with your friends, as well as like our social media pages. You can also subscribe to the blog via WordPress or email. All of those links are on the right side of this page. Thank you for reading, we really appreciate it!